Listening to the wisdom of the gardeners I have spoken to recently it looks like we are in for a cold winter. If you have noticed the abundance of berries this autumn this is apparently a tell tale sign. My ornamental crab apple trees have been laden and hawthorn a mass of red. I have even heard that it is nature’s way of making sure there is plenty of food stored up for animals to get them through the winter. Much as I think we know next to nothing about the power of Nature I would suspect there is not a plan she follows and prepares for. I do believe in natural cycles though to keep things in balance. (I can tell you that I don’t mind a cold winter to kill off some slugs!). Winter is the time we put the garden to bed and feel like hibernating as well! However there is a lot of preparation in the winter of beds, seed plans, wedding bookings and so on. 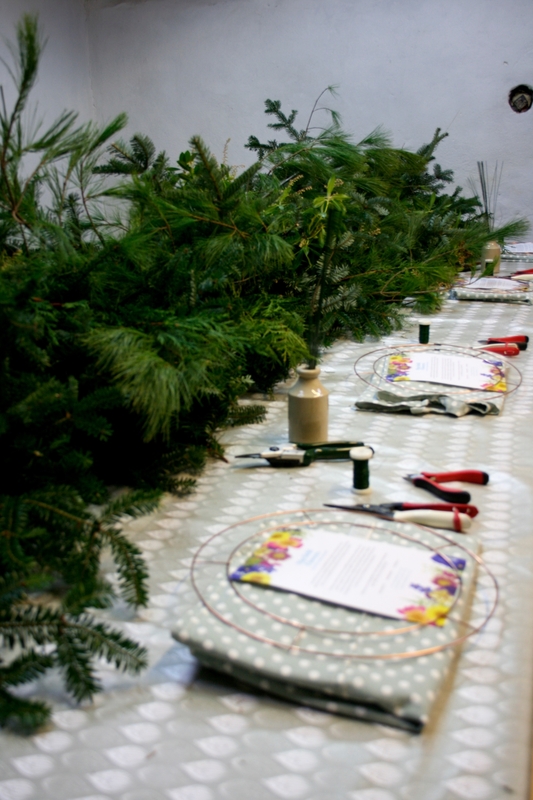 Of course we like a few wee Christmas celebrations too so this year we have our Christmas wreath making workshops on 7th December and 9th December 2017. 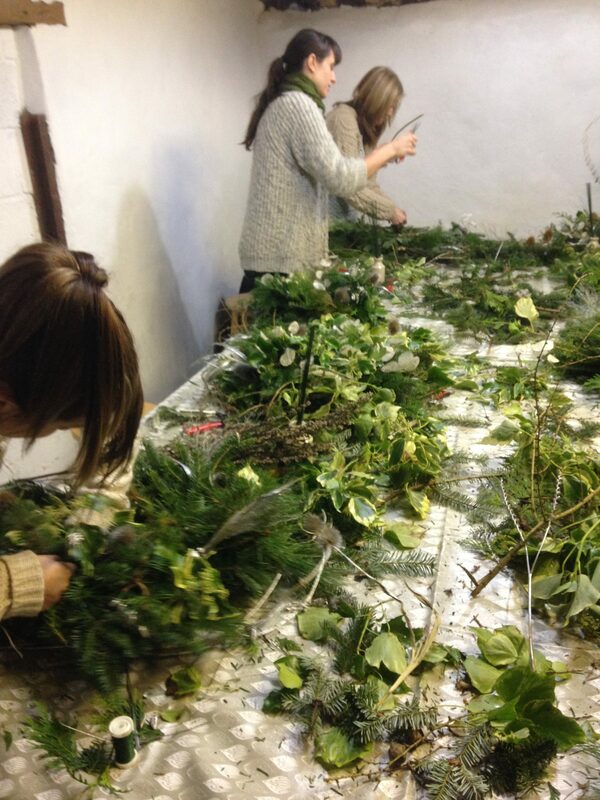 Here you will learn to make a lush natural door wreath for your home using the same materials and techniques we use to design our made to order wreaths with lots of lovely dried materials to add detail, all harvested from our cutting garden. 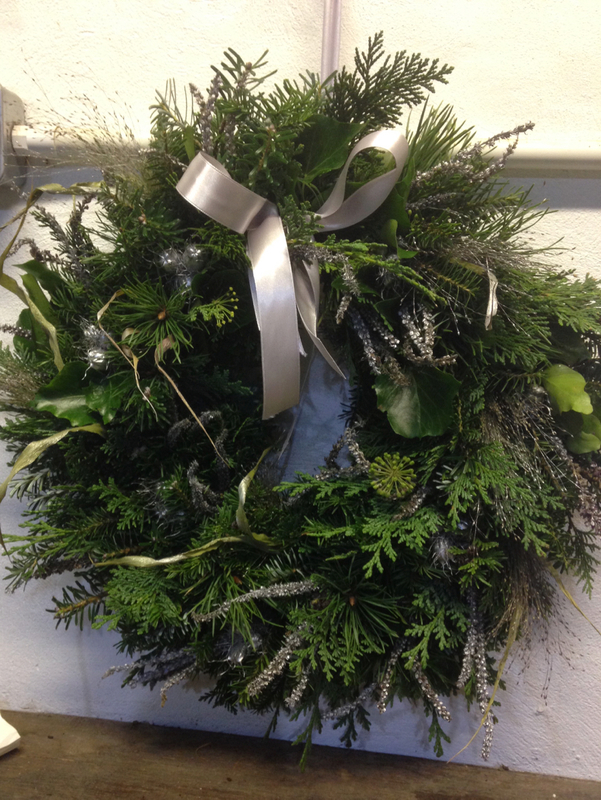 If you would rather we created your wreath we are offering made to order wreaths for delivery or collection on 8th and 9th of December only. Small, medium and large available, prices from £20-£60 plus delivery. 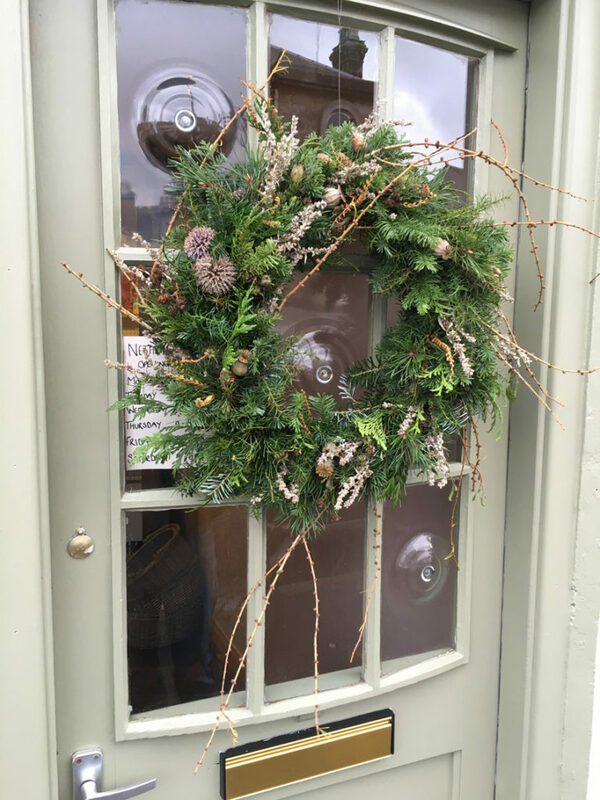 Each wreath is packed with beautiful seasonal foliage and embellished with details of pine cones, seed heads or other dried materials harvested from our cutting garden and finished with a ribbon. Glasgow collection point: An Clachan café, Kelvingrove Park, Glasgow, Stewarton collection: Mayfield Flowers, Kirkmuir Farm. 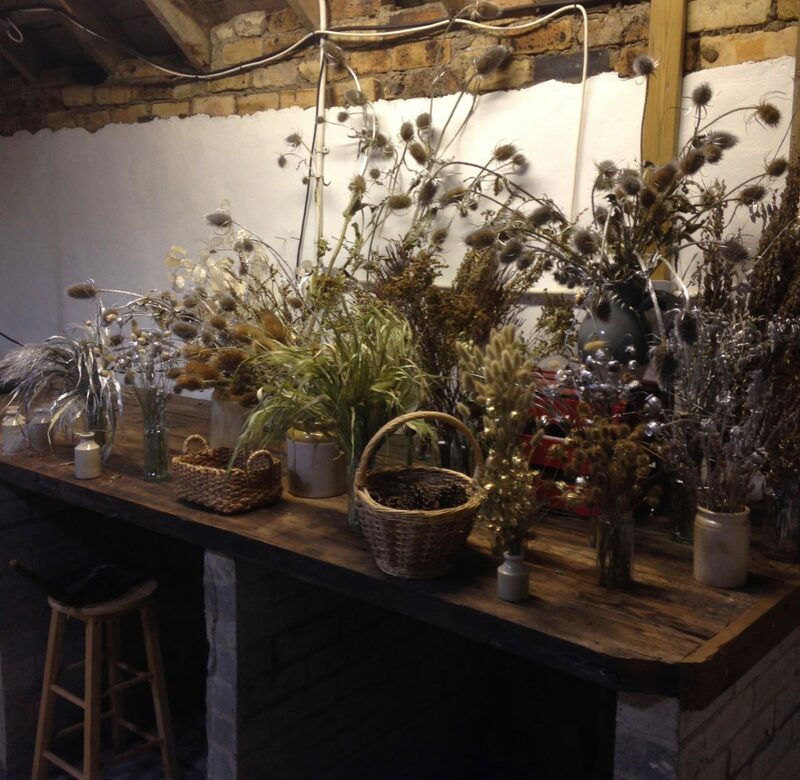 The workshops always start off neat and tidy…but don’t worry, we do all the clearing up!